The Voluntary Protection Program (VPP) is run by the Occupational Safety and Health Administration (OSHA) and recognizes employers and workers in the private sector who have implemented effective safety strategies to prevent workplace injuries. An employer who is part of the VPP generally does a good job taking steps to keep the workplace safe and being a part of the VPP can make an employer more attractive to employees who place a premium on working in a safe environment. In order for the VPP to work, however, OSHA needs to ensure that only truly safe employers are actually part of the program. As such, a new directive an OSHA administrator outlines what happens when a company that is part of the VPP has a series of workplace injury incidents or has a death on the job. Our Boston work injury attorneys urge employers who are part of the VPP to understand the new OSHA directive in order to see what they must do to remain part of the Voluntary Protection Program. If OSHA determines that the fatality was work-related or if OSHA determines that a willful violation of safety regulations occurred, then OSHA will remove the company from the VPP. A “notice of intent to terminate” will be sent to the company within ten days from the time when OSHA completed the inspection. If the company’s worksite is so unsafe that the company is placed in the Severe Violator Enforcement Program, then the company’s participation in the VPP will also be terminated. Again, a “notice of intent to terminate” will be sent within 10 days after the inspection. If there were no safety violations or if the company did not commit a willful violation, then it is at the discretion of the OSHA administrator whether the company can remain in the VPP or not. The OSHA inspector who visited the worksite will make a recommendation to the OSHA administration on whether the company should be permitted to stay in the program. Employers will also have the opportunity to appeal a decision that is made about its continued participation in the VPP. 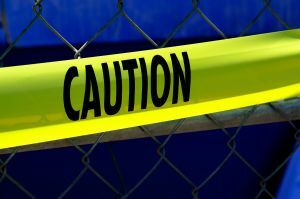 Companies that are currently part of the program need to live up to their commitment to take workplace safety seriously. All employers are required to comply with OSHA regulations and to provide a safe worksite for their employees but those companies that have become part of the Voluntary Protection Program make a special promise to their workers that they are going the extra mile to protect them. Employers need to live up to that promise. Massachusetts Contractor Faces $290,700 in OSHA Fines, Boston Workers’ Compensation Lawyer Blog, June 15, 2013.